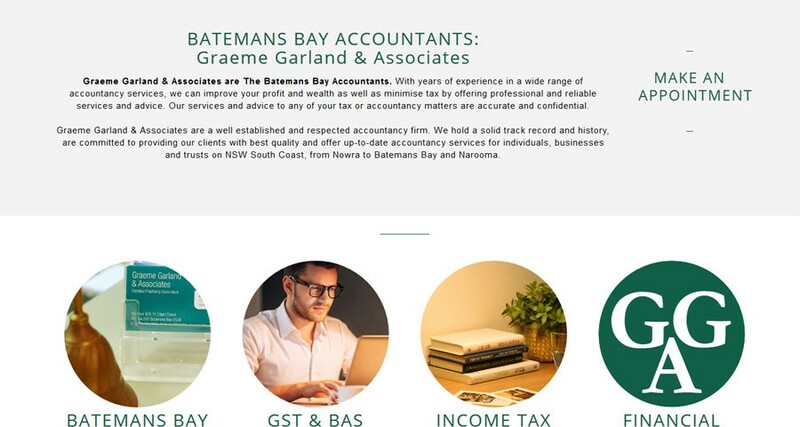 Batemans Bay Accountants are a well established and reputable accountancy business that was looking at creating an online presence. 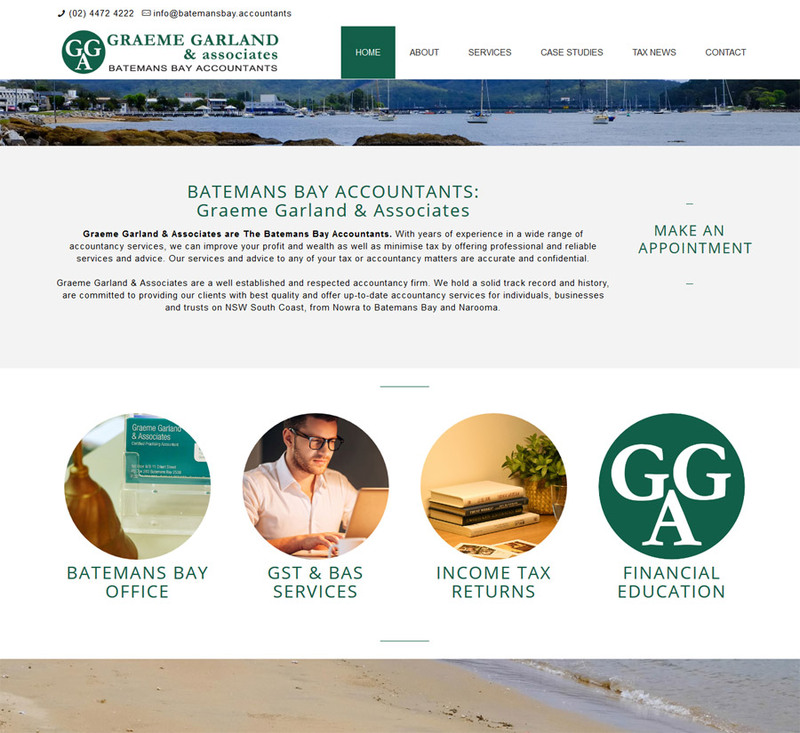 Batemans Bay Accountants, trading as Graeme Garland & Associates, has provided reliable and accurate accountancy services and advice to businesses and individuals in Batemans Bay and South Coast. With more people relying on information found on internet, Batemans Bay Accountants felt the need to have an online portal for information as well as making appointment requests. 8WEB built the website to match client needs and expectations. The website will grow to become a hub of information and customer service. 8WEB will continue to provide website maintenance, support and hosting services as the business and the needs for the website grows.